Notts Trees are local Tree Surgeons that specialise in all forms of Tree Care services which includes Land & Brush Clearing. Click here to call Notts Trees. Land and brush clearing services are vital to keeping your land looking attractive. 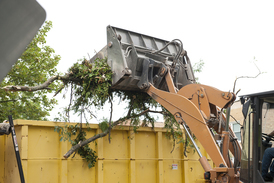 Nottingham Tree Service can the handle clearing of your land, no matter how large or small the job and can handle both businesses and residential areas. What can you expect from Nottingham Tree Service? 1. Specialised Equipment. Our professional tree surgeons use specialised equipment that is designed to help clear land without significantly affecting the environment. We also have technical equipment designed to create mulch from the brush remove from the land, and it be used it to enrich the soil. Clearing bush is a very physical task which should be handled by professionals. 2. Construction Clearing. If you have a construction project, our Nottingham Tree Service can handle clearing the whole area for your project. 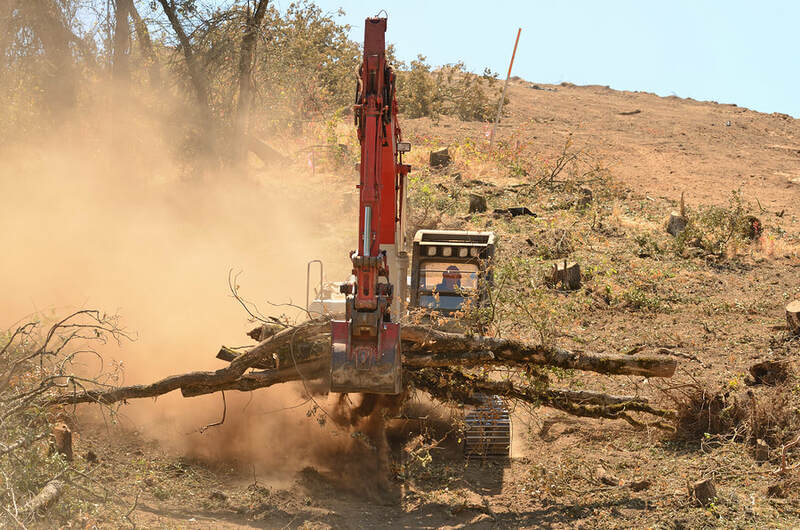 We have the use of heavy duty equipment for clearing land for construction purposes. 3. Safe and Thorough Land Clearing. We always keep safety at the fore front of all tasks and handle all projects with the utmost of care and respect. We will clear your land securely, effectively and as rapidly as possible. 4. Rubbish Disposal. Typically junk and rubble can be hidden under brush and can involve items like old electrical appliances disposed of by fly-tippers. Our specialists will dispose of this debris and dispose of it correctly, either by recycling, composting or hazardous waste disposal. Our tree service company has many years of experience in this field and are working hard to keep the Nottingham area clear of fly-tipping debris. Give Nottingham Tree Service a call today on 0115 824 9899 for more information on our land and brush clearing services or, if you prefer, complete the form on the right and one of our professionals will return your call.